The DNA you where born with is not the DNA you need to live with. According to the Heart Math Institute and their researchers Rollin McCraty, Ph.D., Mike Atkinson, and Dana Tomasino, B.A. 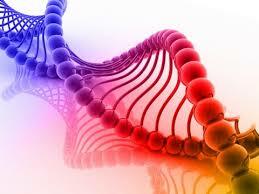 it is possible it change your DNA. It's not only possible, they proved that it can be done. One of the reasons for this study was to show that healer's can affect change in the physical body, and according to this study this change can take place beyond the cellular level and into the DNA.